I interrupt your regularly scheduled fashion, fitness and lifestyle posts to talk about a glamorous subject -- worms. In fact, not just worms. 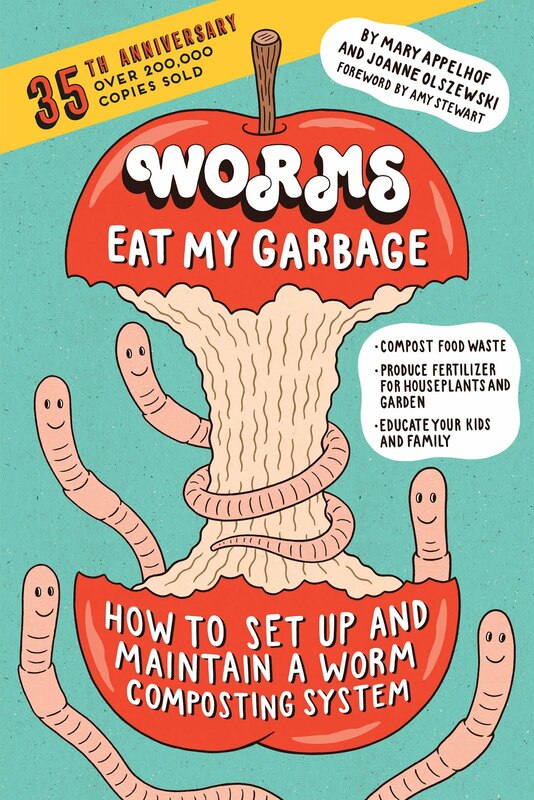 Worms, their poop, trash and composting. Excited yet? You should be! Lately I've been slowly exploring the low impact living scene (and/or zero waste), striving to reduce how much waste I'm making and pick more sustainable alternatives. Part of the low impact movement is the five R's: Refuse, Reduce, Reuse, Recycle, and Rot. 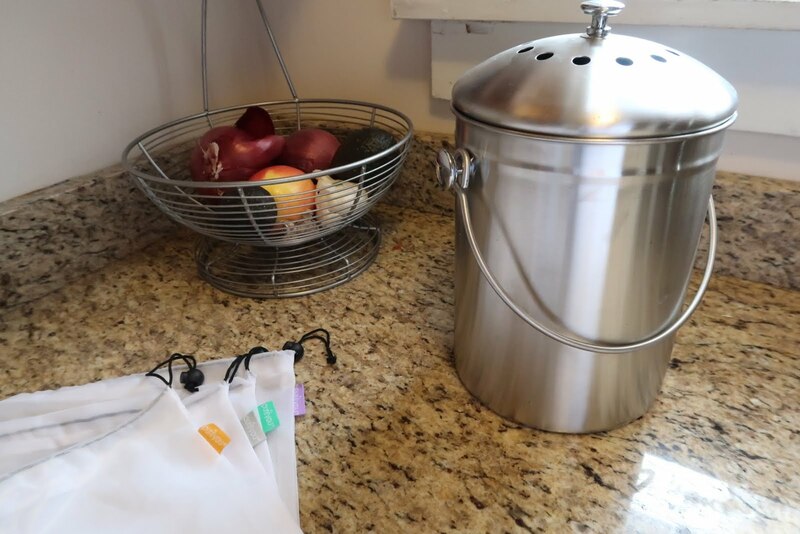 I've been getting better at refusing what I don't need, picking options that reduce the amount of waste they produce and trying to reuse what I already own and recycling has been a household standard since my childhood. The last R, however, has been my weak spot. For Christmas I asked for a countertop compost bin (yes, I know I'm a very exciting, dynamic human). This was my first step toward improving my Rot game. My parents have a huge garden with a compost pile of their own, but unfortunately they live just outside of town and I don't get over there enough to keep up with my tiny compost bin. There's also the slight problem of their compost bin freezing shut each year... I've mentioned winter is cold, right?? Unfortunately my city doesn't offer any municipal composting service (be sure to check if your city does!) and none of my neighbors have a compost pile I could contribute to. My own backyard isn't big enough for a compost bin, so here I am, contemplating getting a pound of worms as pets instead. The most well known vermicomposting book, still in print today and available on Amazon or at your local library! And what the heck is vermicomposting? Essentially, it's feeding your food, and even paper, scraps to a bunch of worms and waiting until they process it down into a nutrient dense compost. 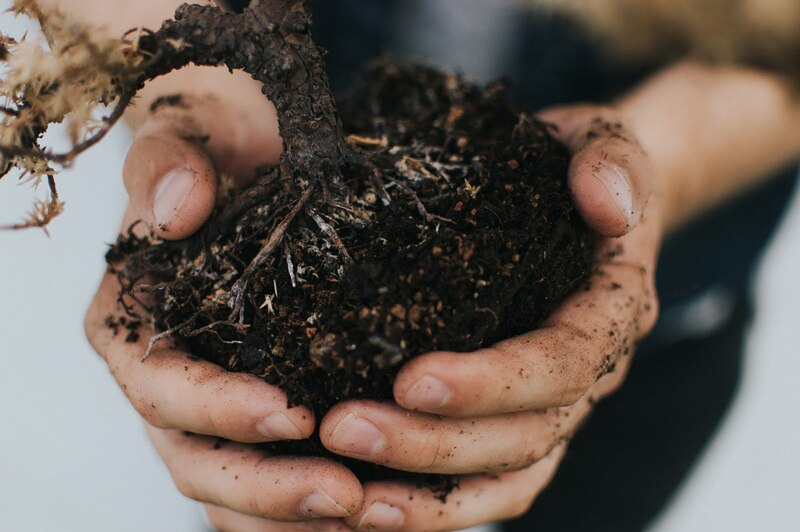 Vermicomposting is different from regular composting because you're relying on the worms to digest the scraps and poop them out into what we call worm castings, rather than just waiting for the scraps to break down and rot naturally, which could take quite awhile. With vermicomposting there's no turning of compost piles or large outdoor spaces, but instead a box of worms kept in some bedding either indoors or even outdoors if it doesn't get too cold where you live. Vermicomposting might be weird to consider at first, but it's pretty cool! Worms can eat through about half their weight in food each day, so that means a pound of worms can eat up to half a pound of your trash. Worms also need bedding to hang out in and ultimately digest, which can be made from black and white newspaper I get sent in the mail. Two birds, one stone. The castings they produce are also really fantastic to use in your garden. Worm castings have 5x more nitrogen, 7x more phosphorus and 11x more potassium than regular soil -- perfect for bolstering your summer veggie gardens! I'm lusting after this gorgeous handmade bin I found on Etsy. The whole process isn't very hard either. All you need is a bin for your worms (red wiggler variety worms), filled with some moist bedding and left somewhere that stays above 55 degrees Fahrenheit. 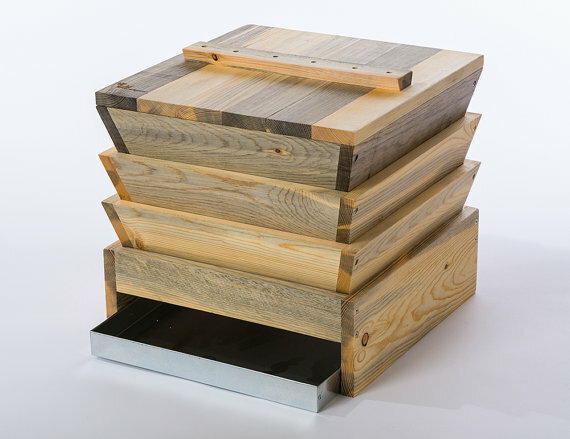 There are lots of bin types to consider, but the simplest is just a wooden bin, about 2ft x 2ft x 8inches , with some holes drilled in the bottom. For bedding you can use newspaper, shredded corrugated cardboard, peat moss or even some dried yard clippings. Keep the worms under a few inches of bedding and periodically add your food scraps into the bin. If you add scraps working from one end of the bin to the other, by the time you're looping back around again they should have processed all the food scraps in that previous area. Once the scraps and bedding has been turned almost completely into castings, it's time to harvest. There are lots of ways to harvest but there are two common ones I've seen mentioned a lot. One is to divide up the mixture into small mounds and then shine a light (worms are photosensitive so they're naturally try to hide) which helps separate the castings from the worms, and the other is to move all the castings to one side of the bin, replace the other side with fresh scraps and wait for the worms to migrate over. Either way, you're left with some awesome stuff to mix into your garden! There are so many resources available out there, but I'll link some of the ones I found most helpful. I know this whole concept seems a little weird, potentially kind of icky depending on how you feel about worms, but I hope you do consider it seriously. The earth is fragile and we need to do everything we can to treat it kindly. This is a really easy and really impactful way to do your part!